This National Poetry Month we’re shouting it out to all the rad women of poetry who write in all kinds of spaces and styles and explore all kinds of themes. Poetry Grrrowl is a raised fist and high-five to those women who make us better readers and thinkers. Join us here on the blog throughout the month for our feature poets, including interviews and excerpts from each, and get 15% OFF any of our Poetry Grrrowl collections all April long. Scroll down for the full line-up of poets and follow along with us all month! 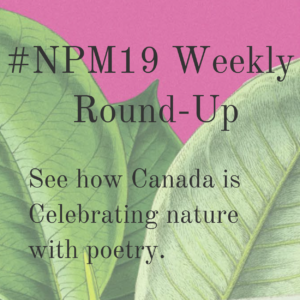 Share your NPM activities and join the conversation by tagging us on Twitter orInstagram @CanadianPoets, and use the official #NPM19 hashtag.